This week's deck is The Steampunk Tarot by Barbara Moore and Aly Fell. "With a turn of the wheel and a spin of the cog, the oracular machinery lumbers into action. The curtains slowly draw back; the time has come to reveal your destiny. 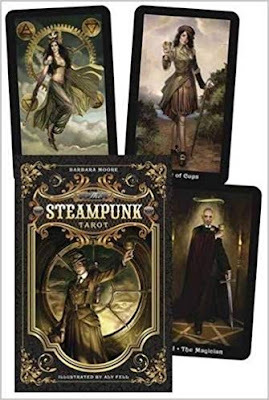 Created by award-winning tarot expert Barbara Moore and brilliantly brought to life by artist Aly Fell, The Steampunk Tarot deck offers a glimpse of the future through a lens to the past. Retooling the gears of the Rider-Waite tradition, each card's intricate artwork depicts a scintillating fusion of man and machine, nature and technology, science and alchemy, romance and fashion. The included manual offers tips, original spreads, and guidance in card interpretation." Do things in your life suddenly seem to be moving as if guided by some destiny? Are you at a critical turning point in life or in a relationship? Are you aware that every action taken could result in major changes? Is the sense that you are being swept up in the tide of events and that every movement you make only makes the changes all the more irreversible? Could you ever have predicted the shocking path that recent events have taken? 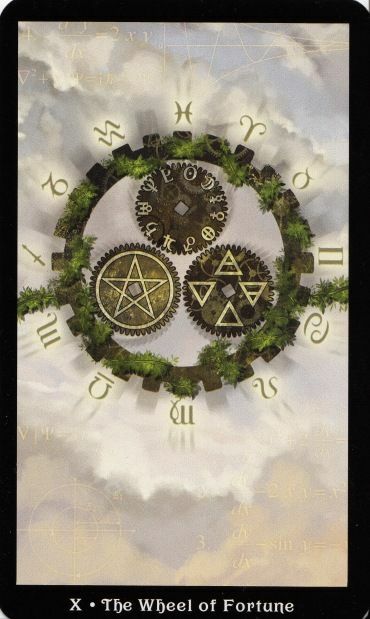 If you are getting a Tarot reading at a time when the whole world seems up for grabs, the Wheel of Fortune will manage to make an appearance in that very reading. Don't be alarmed, though, for the forces of change represented by this card have at their core the ability to reveal to you your purpose in life. 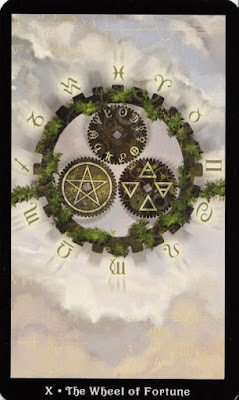 The Wheel of Fortune in the present is perhaps the most momentous placement of any one card in any position in a Tarot reading. Get ready for fate to smile on you and transform the circumstances of your life into a manifestation of your self-awareness. This is a great card to receive in the present position when you have reached a level of knowing yourself well enough to spot the times you are letting yourself down. If you have been taking responsibility for your actions lately, this card in this position reinforces the power that comes with owning your decisions. Key words: Good luck, destiny, change, karma, soulmates, decisive moments, cycles of life, fate, fortune, upheaval, chance. 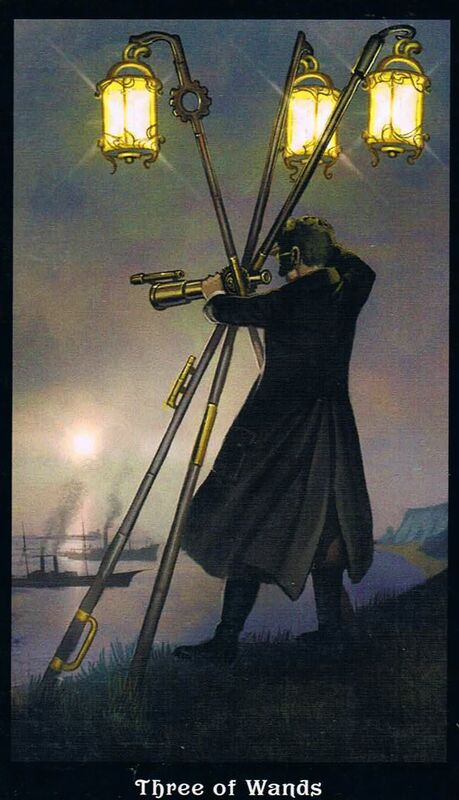 An exciting card in any Tarot spread is the Three of Wands. The Three of Wands represents freedom, adventure, travel, moving abroad and foreign lands. It can indicate hard work paying off, success, and being happy with your choices. This card also signifies foresight, forward planning, moving forward, growth and expansion. It is a Minor Arcana card of self-confidence, self-belief, spreading your wings and experiencing life. It tells you that fortune favors the brave. It can also represent holiday romances and long distance relationships. In a Health Tarot reading, the Three of Wands can signify recovery from an illness or injury and moving on after a period of ill health. As it is a travel Tarot card, it can indicate travelling overseas for treatment or getting vaccinated for travelling abroad. In a spiritual context, the Three of Wands indicates that you are feeling happy with your spiritual progress at the moment. 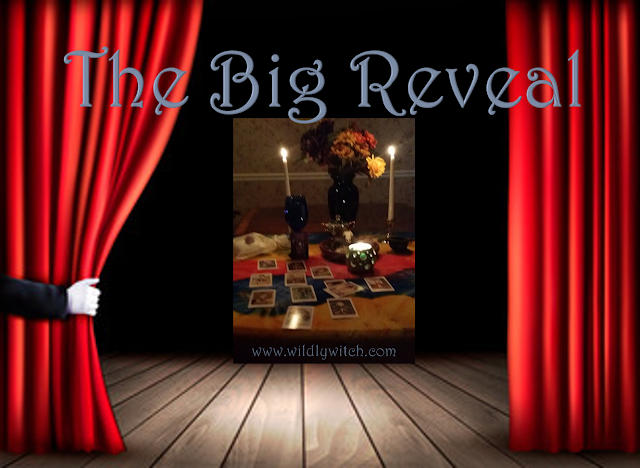 You should be feeling fortunate and adventurous when it appears in your spiritual Tarot spread. It is a good omen for psychic development as it represents foresight. I have been longing for a read like this. I chose #2 this morning. My hand was literally pulled to it. My husband and I have been going through some terribly rough times over the last year or so and my family, much longer than that. It has seemed has if every step we took forward resulted in ten steps back. Since the Spring Equinox this past week, things have started to appear to be shifting and stirring. I didn't want to invest energy I the thought of that being as we have suffered many disappointments and I couldn't go through another. This read, while it may seem small to some, is so very powerful and the hope and optimism its brought me today is beyond my words of thanks! Blessed be!!!!! Thank you. ��I chose the card 2, and I get the right answer. Yes I am in the path of spiritual development.step by step. You are Amazing. The other times was same perfect.